We breed horses for breeding and competition with a good temper, a lot of willingness and high, wide and soft movements in all gaits. The horses should be early developed with a natural talent for the gaits and should have beautiful and well-raised necks, good proportions and strong hooves. The horses have a high BLUP and the pedigree have all high performance horses in it. 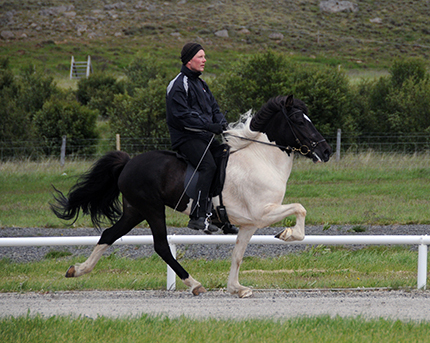 The horses we breed in Sweden gets our Swedish farm name ”från Smedjan” and the offsprings in Iceland gets our Icelandic farm name ”frá Svíabæ”.